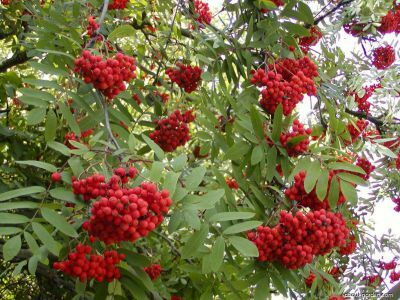 The Mountain Ash Sorbus aucuparia is an upright compact tree with ascending branches. 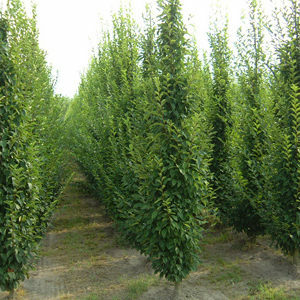 In the spring and summer time is produces a beautiful white flower which is followed by clusters of red berries which attract a lot of wildlife. 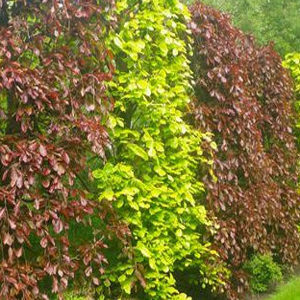 In the autumn the leaves turn an attractive red colour giving the tree a nice colour all year round.